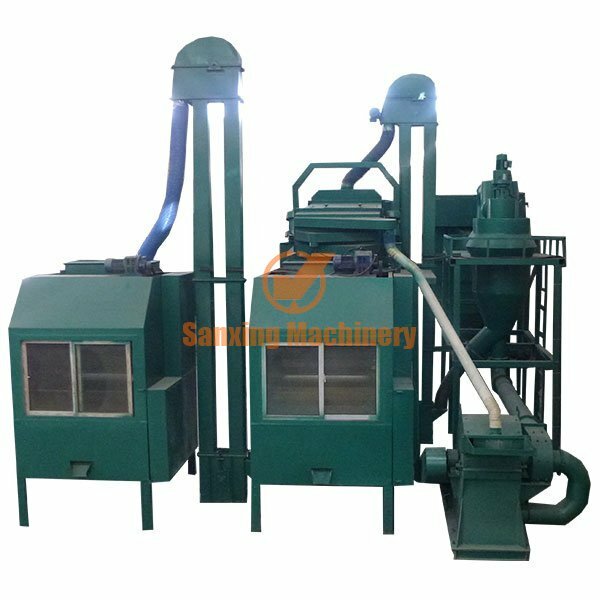 PCB boards recycling machine electrolysis separator is developed by our company , its optional methods to getting metals . We developed the hammer mill and electrostatic separator and others are innovative . The system is advanced and reasonable with higher metal recycling rate up to 98%. 1. PCB recycling system takes the crusher to crushing PCB boards, electrostatic separator machine to separate metal. I.E dismantling/crushing/separating. Metal recycling purity and ratio is higher . 2. Score technology is combing crushing and separating machine, saving energy to achieve higher efficient and metal recovery rate . 3. Same flow sheet and equipment in domestic we less the power 3/5 , the unit system capacity is 1T/H . 4. Lower cost 1/5-1/3 than other supplier ,MEANWHILE metal recovery rate is higher 3%-5% than others . 5.Great performance to computer boards/laptop PCB/Television boards or other circuit boards with unique affects. Also for the PCB with capacitance . 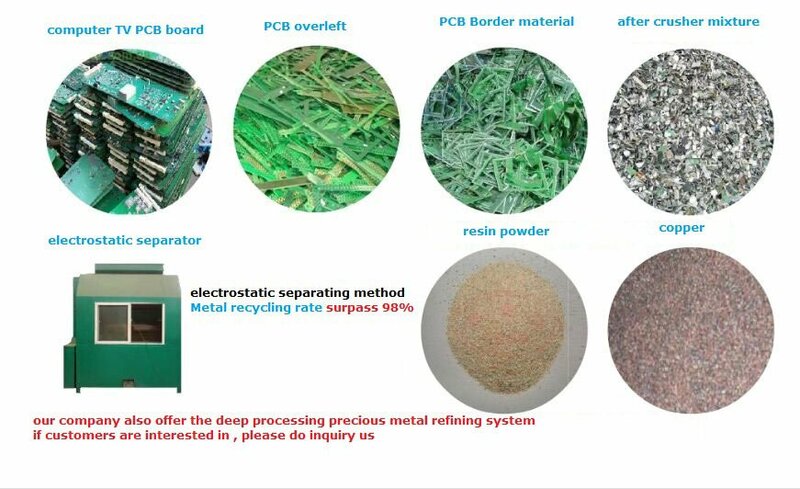 6.Circuit board recycling equipment is the wind separation upgrading products, reduce power consumption than the wind separation, and little noise, fewer labor and area , higher automate and efficient , it’s optional of waste PCB recycling ,separating system in domestic currently. 7. Fewer labor. No pollution,less noise. Layout is flexible.